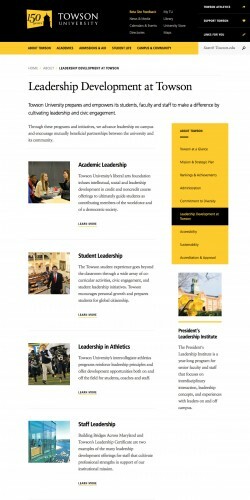 Towson University has been offering a breadth of academic programming consistent with that of a large university, yet it's supported by the kind of close-knit community usually found at a smaller college. 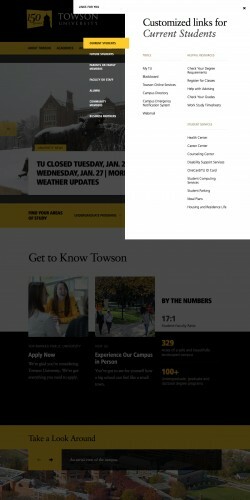 The new towson.edu is a window into a premier regional public university that gives users the ability to experience the energy, quality and character that defines TU without sacrificing that tight community feeling. 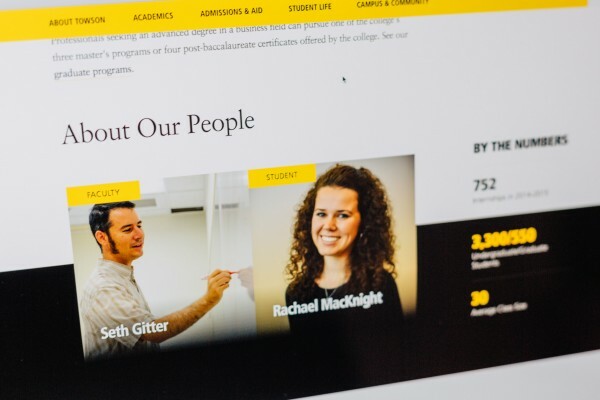 Along with its strong academic offerings and exceptional faculty, Towson has an impressive campus, state of the art facilities, wide alumni network, and a vibrant student life scene. 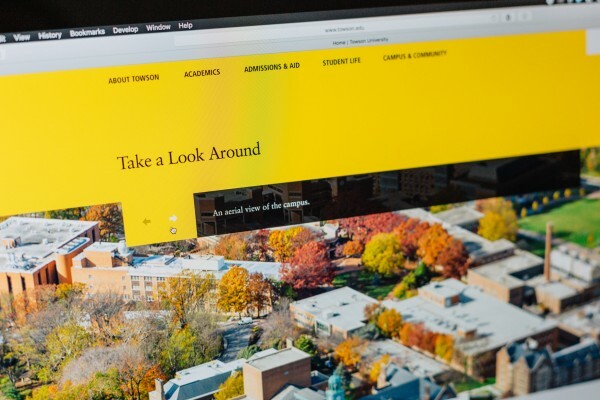 We've provided Towson with a bold, bright, and modern aesthetic to mirror these qualities, and the tools to express the University’s dedication to academics, the arts, and its community. 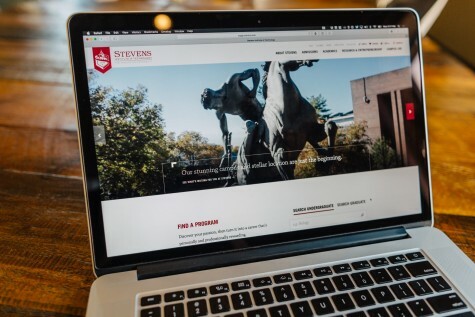 With the continuing rise in many college tuitions, some are questioning the value of the investment in education. 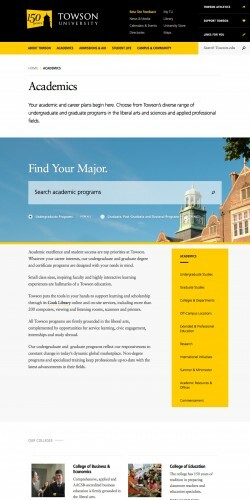 As a state school with an affordable tuition and a competitive educational experience, Towson offers unquestionable value. 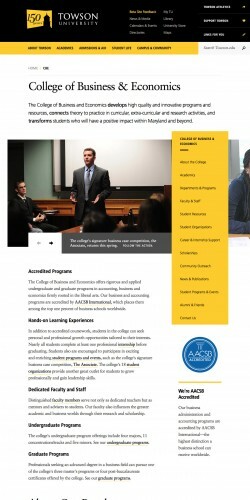 The new site emphasizes that value by showcasing successful outcomes via timely storytelling. 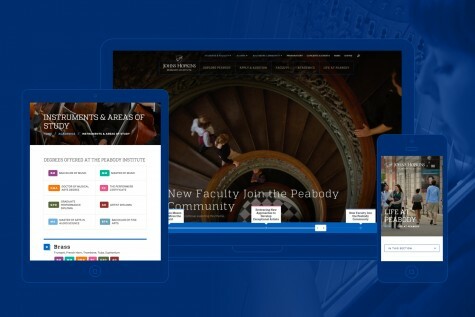 A complete information architecture upheaval destroyed silos that fragmented content and now provides multiple access points to important information through natural navigational pathways, search, or related content. 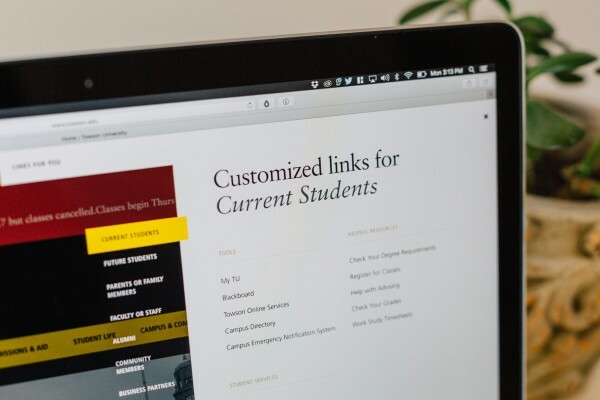 This user-focused strategy is best exemplified in the “Links for You” gateway, a bold takeover panel which allows Towson to pair important links with key audience members. 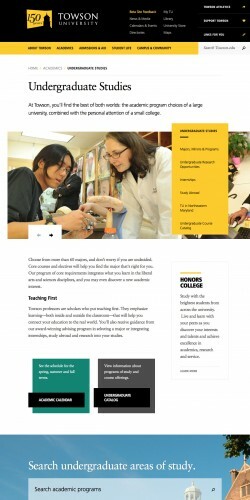 A key task in the redesign would be consolidating the content into more digestible pieces. An intense content audit helped identify and eliminate the unnecessary, leaving website users only with useful information. To ensure the continued success and integrity of the new site, Fastspot provided strict organizational guidelines and content strategy.